All I know about boats and surf I learned almost exclusively by two ways: the good books and an impressive amount of errors. Of these two options I strongly suggest the first one, especially if this helps to avoid part of the second one. These notes are used as a backing to our design courses. They analyze specific design and construction problems related to small and medium-sized cruising multihulls (from 21 to 36 feet), clarifying them with many examples and references to existing trimarans and catamarans. Structural and building aspects of these kinds of boats are also taken into exam. These 112-pages notes analyze thoroughly and rather exhaustively the designing and building problems of a 33-36 feet boat suitable for long distance cruises. More than 100 pages of notes explain the extraordinary potential of computer in boat-building and introduce beginners and experts to the tricks of hi-tech design. It is a dense volume, widely illustrated with drawings and photographs, which deals in detail with all the aspects of modern techniques of construction in wood, taking into consideration all the materials that are used, from the wood itself, to its derivates, such as plywood, to resins and glues, as well as the tools and techniques which you need. This manual is intended primarily to our traditional audience, that of the amateur builders and wooden boat enthusiasts, but it can also be useful to designers and professional boat builders. The book, published and distributed by Hoepli, is available in bookstores but can also be requested directly to us. (432 pages). This book explains in a simple and exhaustive manner, with numerous illustrations and two practical examples (the construction of a ten foot catamaran and a motor launch), the building technique known as “Stitch & Tape”. Also, it approaches in general terms broader themes related to wooden boats construction, initiating the reader to more complex building techniques. (92 pages). The book is the catalog of the exhibition held at the Museo Civico di Trieste to commemorate Carlo Sciarrelli, a great Italian yacht designer deceased in 2006. A rich array of photos, drawings and documents, mostly unpublished, retraces the stages of his career, from the earliest boats of the Sixties until his latest achievements. His personality is recalled through the words of his close friends Guglielmo Danelon and Enrico Buschi. Contributions were made by Paolo Lodigiani with an essay on the search for beauty in Sciarrelli’s work, and by Davide Battistin and Federico Lenardon who analyze the technical aspects of it, revealing the modernity of his lesson. 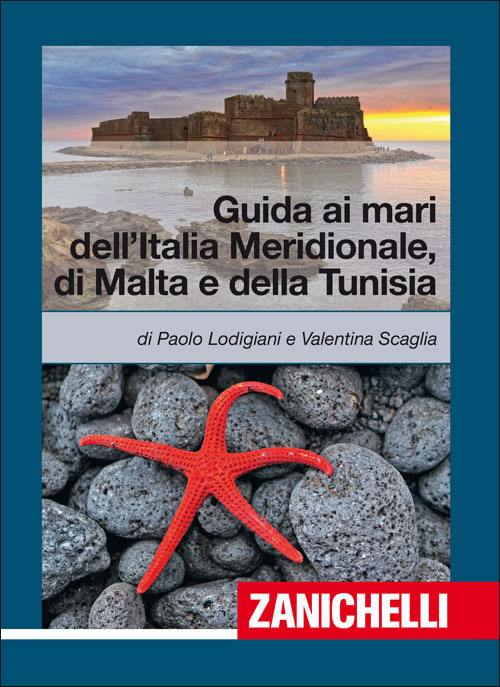 Published by Comunicarte from Trieste, the book is both a precious source of information and a sincere attestation of esteem for a master who could convey into his boats culture, intimate knowledge, taste and intelligence. The book gathers a series of articles about notable yacht designers of all times written by Gian Marco Borea d’Olmo, founder of the Association “I Venturieri”, a man of great sailing skills and extensive nautical knowledge. First appeared on the magazine “Bolina” between 1992 and 1999, these articles are now published together, enriched by numerous illustrations – among them a series of color photos by Paolo Maccione – and integrated with an essay on Carlo Sciarrelli, the Triestine designer deceased in 2006, and an introduction dedicated to the author himself. The book is a detailed, though not comprehensive, study of the life and work of nautical design history’s prominent figures from its dawning, in the second half of the 1700s, to the present day. Along with famous names such as Herreshoff, Nicholson, Watson, Fife or Giles, also lesser known figures such as Hillyard or Butler are taken into consideration. Particularly significant is the presence of the Italian “masters” who have so much helped the diffusion of a culture of the boat in the country: Chiggiato, Veronese, and Sciarrelli. At the dawning of the Egyptian civilization, nearly five thousand years ago, a boat, in which a God sails, is first mentioned in a religious text: since then, boats and ships are referred to in myths and legends from all times and cultures. From the unraveling of these stories in time emerges a real “spiritual” history of navigation, staged in the high seas of imagination, at the center of which lies the boat, loyal travel companion that shares the adventures and trades of humanity and at once expression of its dreams and desires. Those are the same forces whence myths originate. 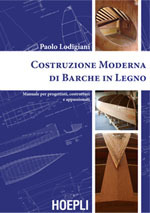 A collection of documents and studies on traditional boats of the Tyrrhenian Sea with the typical lateen sails edited by the worthy “Associazione Culturale Storie di Barche”. The ancient techniques of ropers and their stories collected and documented with skill and passion by our friends of the association "Storie di Barche”. 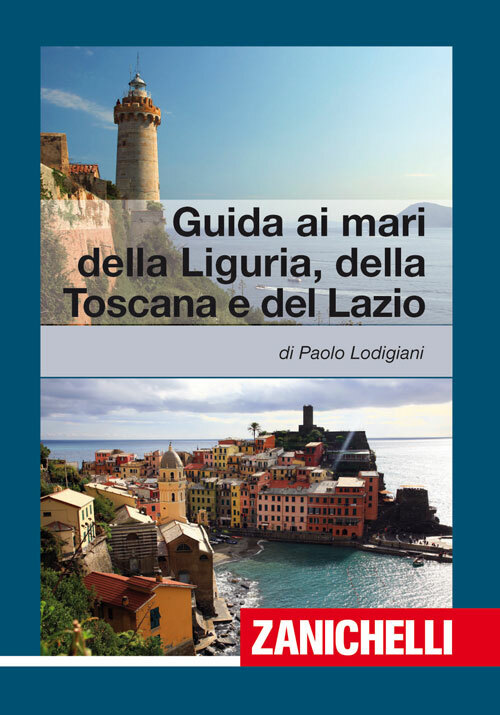 A beautiful, richly illustrated book that deals with anchovy fishing, salting, and trading (traditional activities of small fishing villages of Liguria) in a exhaustive – though pleasantly conversational – way. Though its title may lead to believe this is no more than a cook book – and it does contain some ancient cooking recipes – it offers much more: it really is a riveting trip into the past that should delight anyone who loves boats and traditional crafts. This guide and the others mentioned above are some of the well-known “Pilots” (Sailing Directions) published by Zanichelli and specifically aimed at yachtsmen. 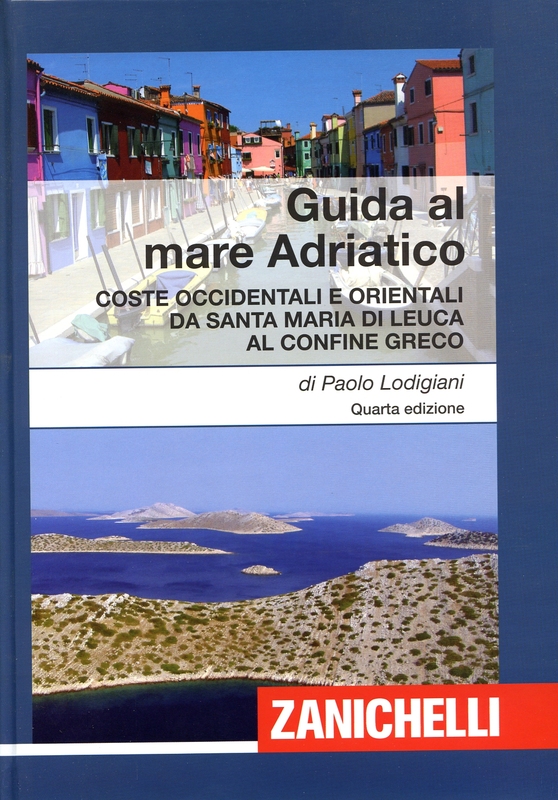 Recently updated, the Adriatic Guide contains a detailed description of the coasts and landings of all nations facing the Adriatic Sea, including Montenegro and Albania, yet to be discovered by pleasure boating. You may buy online some publications concerning yacht design, boat building and other matters related to the culture of the sea. Some of them have been published by us, others are from other publishers. Some of the books published by us are sold out or waiting for reprint. We can send these books in PDF format via e-mail through the service WeTransfer (see orders and shipments). We may also send by e-mail our booklets. For the rebound booklets, to the year of the last update. The books published by other publishers included in our catalog are sent based on availability. 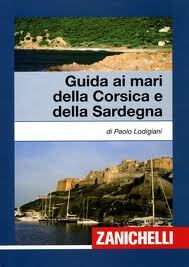 Our publications are sold in nautical bookstores and in some large libraries. If libraries are interested in orders can contact us to know the conditions we apply.